Have a child read to you. 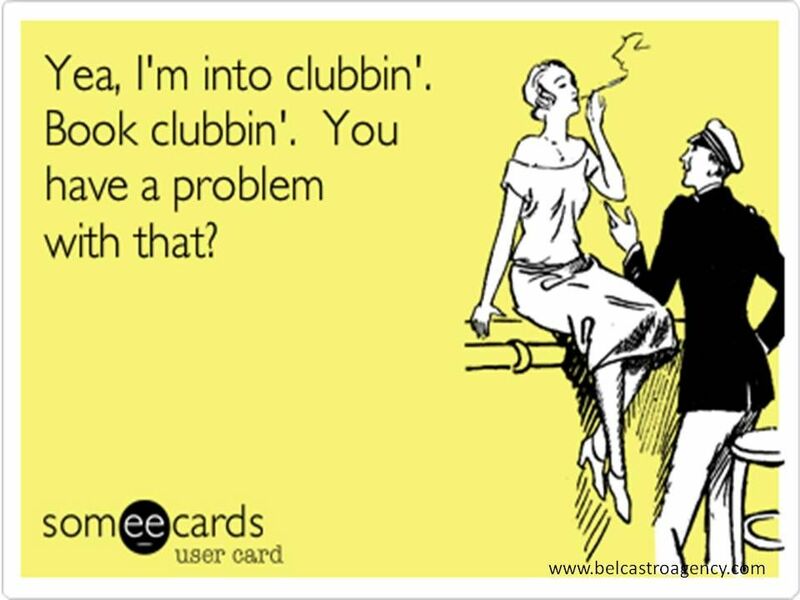 Reserve a book club set for your brand new club. Donate books you no longer want to the library. If we can’t add them to the library collection, we sell them in our book store and all profits go to library programming. Write a review of a book you love on Amazon. Reader reviews can make a big difference in an author's career. If you don't already have one, open a Goodreads account to keep track of what you've read and what you want to read. Follow our children's or teen and adult staff review blogs. Fill out a personalized reading recommendation form on our website and we'll recommend books just for you! Make plans to meet an author and get a book signed at one of our many upcoming AuthorLink events. Skim a review journal like Kirkus, Library Journal, Publishers Weekly, or The New York Times Book Review to find your next great read. If you have kids, add story time to your fall schedule. It starts up again on August 28th! 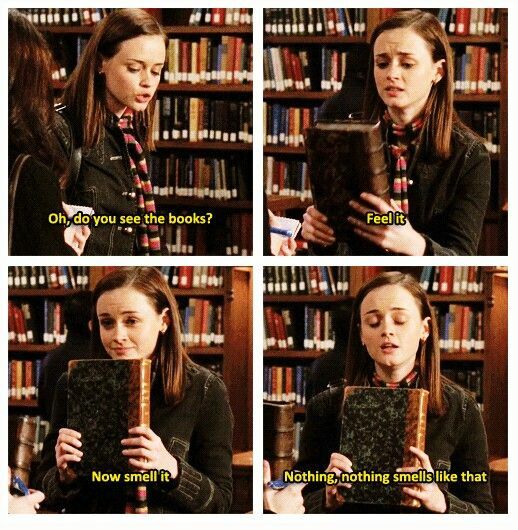 Sniff a book.You know you want to. Have a favorite genre? Check out our adult, teen, and children’s booklists for recommendations. Reread a book that always makes you cry. It’s cathartic. Set up an Overdrive account if you haven’t already! We have hundreds of ebooks and eAudiobooks for you to check out. Think audiobooks readers are too slow? Listen to audiobooks on Overdrive at whatever pace you’d like – even chipmunk-speed double time. Download Libby to your smartphone and test it out. Overdrive will be phasing out its old app soon in favor of this new, easier-to-use app. Don’t feel like you have enough time to read? Try a graphic novel. Or, read a Goodreads Choice book selected by fellow readers. Make sure to vote for your 2017 favorites at the end of the year! Cuddle your pet while reading. Visit a used bookstore like Pioneer Book. Learn a new skill from a nonfiction book. Try your hand at writing a book. Sign up for NaNoWriMo and commit to write an entire novel in November. Use Novelist to find books you might like. Does your place of employment have a waiting room? Stock it with books, including picture books for young readers. Is the library missing a book you’d like to read? Submit a purchase request, and we might just buy it. Or, see if we can borrow it from another library for you. It's free! Some books always seeem to be checked out. Place one on hold to make sure you're next in line! Set aside a specific amount of time each day for reading. Learn about our early literacy workshops for children ages 2-3 and their parents/caregivers. Create a cozy reading spot in your home. Try reading a book in a format you don’t usually use – eBooks, digital audiobooks, books on cd, or maybe even a printed book. Read a book from an unfamiliar genre. If you’re a teen, sign up for our Teen Volunteer Board. You can help make the library even better! Did you know the Provo City Libray and the Orem Public Library have a reciprocal agreement where their patrons can use both libraries? Get a library card at the Orem Library if you don’t already have one, and double your library options! Plan to bring your children to Library Kids for books and literacy-based crafts and activities. Make sure your kids see you reading for fun. They're more likely to love reading if they know you do. Register for Parent/Child Book Clubs in September. Watch a film adaptation of a great book. Read the book one of your favorite film adaptations is based on. Sign up for a library tour to learn about the fascinating history of this beautiful building or about how to use the library more effectively. Know a Provo resident who doesn’t have a library card? Encourage them to get one by sharing what you love about the library and how easy it is to set up an account. Reread your favorite parts of your favorite book. Finally pick up that classic book you’ve been meaning to read for years. Have a struggling reader at home? Have them read to a pet. If you have kids age 4 and younger, pledge to read 1000 books with them before kindergarten. Recommend a book to a friend. Build your home library by buying a book you love. Volunteer to read to seniors at a retirement home. Encourage your children to talk about what they’re reading by asking lots of open-ended questions. Read the books your children love to make these conversations even better. Gather friends and family for silent reading time. Set a reading goal for the rest of the year. Carry a book with you all day. Upcycle a book into art. Buy a book for $2 at our used bookstore. Visit Buzzfeed to take endless “which book character are you?” quizzes. Plan a literary-themed Halloween costume. Tuck a friendly note into a book donation for the person who buys it. Make a new recipe from a cookbook. Run out of shelf space? Buy and set up a new bookshelf. You can never have too many. Are you a bookworm? Book nerd? Book fiend? Bibliophile? Literary savant? Reading wunderkind? Maybe you just really love Jeopardy and all things trivia. If so, this event is for you. Join us at 7:00pm on Friday, June 24th for an evening of book trivia. Create your own team of 4-8 people or simply join a team after you arrive. Contestants ages 10 and up are welcome, and no prior registration is required. Play for the glory (and for the prizes)! To whet your appetite, we’ve compiled a few sample questions for you. If you come to our Book Trivia Night with the correct answers to all three questions, you’ll be entered in a drawing for a Barnes and Noble gift card, in addition to having a shot at first, second, or third place game prizes. No researching or sharing answers, please! In The Lion, the Witch, and the Wardrobe, Edmund betrays his siblings and friends for a taste of what candy? Truman Capote was childhood friends with what beloved author who died earlier this year, a few months after her controversial and long-awaited second novel was published? After realizing that he could draw things (hint, hint) even if he couldn’t draw horses, Maurice Sendak changed the name of his classic picture book from “Land of Wild Horses” to what? Our next book sale is just one week away! Here are some facts and figures you may have wondered while perusing the thousands of books for sale in the ballroom each time we do one of these sales. This summer the children’s department began a brand new coding class for kids ages 8-12 called Code Club. We had done some coding classes before but this new class had a completely different format and allowed kids to progress at their own pace. We began with just one weekly class. However, a few weeks into the summer we realized there was a need for a 2nd weekly class. Here are some numbers that represent what went into the class as well as some of the progress that the kids made. Children’s Code Club will recommence every Tuesday at 4:00 PM during from September through November. Also, the brand new Teen Code Club will be held every 2nd and 4th Monday of the month beginning in September. If your childhood was anything like mine, you relished getting a new Where's Waldo book from the library! I loved cracking the cover and doing a leisurely search through all the folderol, until finally: Waldo! But I still wouldn’t turn the page until I had looked through all the quirky and often hilarious vignettes. Plus you could explain the vast amounts of time you spent with the books, "But Mom, this is practically a history book, these lions are eating Romans in the Colosseum." I have to admit I still look at these books now and again. I even get a rush when I'm at events with thousands of people like Comic Con and I find someone dressed up as Waldo. I tell myself, "Found him!" and do an internal happy dance. Teens, if you want to re-live the thrill of the hunt for Waldo, come to the library next week! We'll have him hidden in various spots in the library, and if you find all of them you can win a prize for being such a smartie! Come to the First Floor Reference desk anytime between Monday the 25th and Saturday the 30th to get started. Take an opportunity to visit the Story Room with your child a time or two before beginning Preschool Time, so that it becomes a familiar place. Talk about what they can expect during story time (you can get a copy of the basic outline at the Children’s desk). If possible, during a Preschool Time show your child the TV monitor outside the Story Room. This will allow them the opportunity to see what goes on and can also reassure them that even though they can’t see you, you can still see them. Please remember to stay in the Children’s Department for the duration of story time in case your child needs you. Make it a point to arrive approximately 10 minutes early each week. This will give you time to pick up your child’s nametag at the Children’s desk, make a bathroom stop, get a drink, and hear the storyteller announcements. Please be aware that once the Story Room door has closed, children will no longer be admitted to Preschool Time. I promise we’re not picking on you! We simply want to provide a safe and distraction-free story time for all of the children in the room. Latecomers are always welcome to attend Toddler Time in the Story Circle. Some preschoolers are ready to join Preschool Time right after they turn three—others may need a little more time to adjust. Even if your child is a Preschool Time regular, they may occasionally just have a hard day. We all know how that goes, right? Give encouragement and be supportive of your little one trying new things. That may be all it takes. However, forcing a sobbing child into the Story Room does not a happy story time experience make. In addition, if your preschooler is complaining of a tummy ache, is running a fever, or has a significant runny nose or cough, let them stay home and get well! We’ll still be here next week, and we are happy to provide handouts from a missed week when you come back. Right before your child leaves the Story Room through the secret tunnel, our storytellers will give a brief review of what they did in Preschool Time. Just like in Toddler Time, preschoolers will also receive handouts: a die cut “letter of the week” (lower case to help them begin to recognize the two forms of each letter) and a coloring sheet that includes letter writing practice, an early literacy tip, book suggestions . They will also receive a hand stamp. As with your toddlers, ask your preschooler about story time and revisit the things they learned later in the day or week to solidify their learning. Share their experience by allowing them tell you about the books they read, the songs they sang, and about the silly puppet show! Our goal is for story time to be a FUN, safe, literacy-rich environment for your children. We love watching them grow in so many different ways. Thank you for sharing them with us! Curious about our story time schedule? Find dates and times here! It’s Back-to-School time, which means it’s also back to our school-year programs in the Children’s Department! We’ve had a busy start to August, putting the final touches on another successful Summer Reading Program and prepping for your little ones’ return to Story Time at the end of the month. Our fall semester programs will begin on August 29th. Story Time is a favorite part of each day here in the Children’s Department, and we hope that you and your children look forward to joining us for a weekly visit. To kick off the fall season just right, we’re offering some helpful hints over two posts to help you and your kiddos get the most out of your story time experience. Let’s start with Toddler Time! Be engaged with the program. Toddler Time is only 20 minutes long. Set aside these few minutes each week to focus on your child. Take time to snuggle, laugh, sing, and listen with your little one. Do your best to avoid distractions: leave your phone in the diaper bag, and come early or stay late to enjoy some much-needed conversation with other caregivers. The more engaged you are as a parent, the more your child will benefit from story time! Help your child take advantage of new opportunities for socialization, but remember that each child develops at their own pace. Some toddlers are perfectly content in the midst of the action, but others may not be ready to leave your lap for the story blanket or to have a conversation with our beloved bright yellow puppet, Kevin. Follow your child’s cues and recognize that their level of comfort may vary from week to week. Take the story time experience home with you. We will always have handouts for the toddlers at story time (and usually hand stamps too!). Children receive a die cut “letter of the week,” as well as a coloring sheet that includes early literacy tips and book suggestions. And don’t forget to check out some books! Plan to take these things home and use them later in the day or week to revisit the program. Talk about your child’s story time experience to reinforce the learning and the fun. Try singing story time songs at home too (I promise they’ll be stuck in your head all day). Repetition is a toddler’s best friend. Early literacy expert Saroj Ghoting emphasizes that parents are their child’s “first and best teacher.” We feel privileged to support you in that role. There’s going to come a day when your 2 year old has a meltdown…right in the middle of the library. Shocking, I know. Please, please let it go and come back next time. Believe me when I say that it happens all. the. time. Here’s a big secret you may not know about those of us in the Children’s Department: we’re here because we love kids! Tantrums and all. We get it. We’ve been there. We know what you go through to get your kids here each week, and we appreciate the (sometimes Herculean) effort it takes. So pack up those sippy cups, hunt down the missing shoe you know was snugly strapped to that chubby little foot, and let the threenager wear the cape or princess dress that they’re refusing to take off. It’s all good because…IT’S STORY TIME! It came unexpectedly. I was visiting my mom and she pulled an old, crinkley bag out of the garage with wires hanging out of it. “After all this time?” I said with disbelief. I pulled open the bag and there they were: all my old Sega Genesis games that I played in the 90s. It was during a Christmas vacation when she remembered to give me the bag, wanting to clean out her garage. Why had she even kept it? I had no idea, but it was like she pulled a treasure out of that big warehouse in Indiana Jones. Needless to say, I spent a lot of time that holiday exploring dungeons filled with monsters, racing with Sonic, and discovering that my fingers still knew how to do that really tricky triple jump in my favorite game. Best. Christmas. Ever. If you’re like me, perhaps it takes just a few chiming notes of the Super Mario Brothers theme to put a smile on your face. Whatever your favorite console was – arcade games, Atari, Intellivision, Nintendo, Sega, Playstation, X-Box, PCs, etc, playing these games from your childhood can bring back fond memories. An unexpected pleasure has been showing these games to my kids, which stirs up feelings somewhere between the satisfaction of passing down beloved childhood traditions to thrill of an evil mastermind converting disciples to his twisted ways. Naturally, I had to plan a library event around all this! I’m happy to say that this Saturday, July 9th, from 2:00-4:00 in Room 201 we’ll have all sorts of classic games for you to come reminisce with (and maybe even show your kids). If perhaps you didn’t grow up with some of these games, it’s a great chance to introduce yourself to gaming’s origins and get firsthand experience with classics everyone keeps talking about. We can’t wait to see you there!